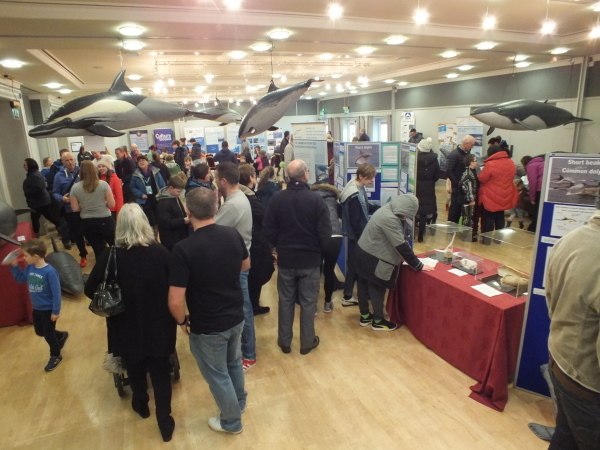 The purpose of the Manx Whale and Dolphin Watch Show was to raise public awareness of Manx marine life, in particular whales, dolphins and porpoises, which inhabit our territorial waters. It is vital that our local community view these animals as an important part of our culture and heritage, and understand that Manx waters need to be looked after in order to ensure the ongoing conservation of our local species. We had an overwhelming level of attendance at the show (over 2,000 people) and are constantly receiving fantastic feedback from adults and children alike. Another positive outcome is the amount of people who have been inspired to reduce their consumption of single use plastics. The event was held 10 + 11 February 2018. An interview with Jen Adams, Outreach and Education Manager at Manx Whale & Dolphin Watch is available to watch here.